"In the name of God amen I, JOHN BASBEECH (Sr.) of Chesterfield County, being in my perfect health, memory and understanding do hereby make and ordain this my last Will and Testament in the following manner and form. Item. I give and bequeath unto my two sons Richard Basbeech and John Basbeech (Jr.) my lands and Tenements lying to the north side of the spring branch running a strait line from the head of the Branch up to Henry Bass's line which land to be equally divided between them two to them and their Heirs forever. Item. I give and bequeath unto my Daughter Elizabeth Basbeech, the feather bed that is called her bed and furniture to her and her Heirs forever. Item. I give and bequeath unto Lodwick Basbeech my black foal to him and his Heirs forever. Item. I lend unto my true and well beloved wife the rest of my Lands and Tenements and all the rest of my Estate during her life and after her Death my land I leave to her to be equally divided between Pierce Basbeech and Lodwick Basbeech only Lodwick to have the Plantation where I live and the rest of my Estate to be equally divided among these persons here mentioned: George Basbeech, Pierce Basbeech, Lodwick Basbeech, Nathan Basbeech the son of Richard Basbeech andmy two Daughters Elizabeth Basbeech and Mary Basbeech to which said Estate I give to them and their Heirs forever. And lastly I nominate and appoint Abigail Basbeech and Pierce Basbeech and Locowick Basbeech Executors to this my last Will and Testament, In Witness to which I have hereunto set my hand and seal this twenty second day of December in the year of Our Lord Christ One Thousand Seven Hundred Seventy Seven. (Note: To avoid confusion, (Sr.) has been added to the John Basbeech who made the 1777 will; (Jr.) has been added to his son John Basbeech mention in the 1777 will, and (3) has been added to the John B.Beach, son of Pierce Basbeech. No record has been found of the actual date John Basbeech (sr.) died nor when the WIll was probated. Documents show that on the 9th day of October 1787, some land was sold by Abigail Basebeach, Richard and wife Mary Basebeach, Pierce Basebeach and Lodwick Basebeach to one Henry Cox, which land was devised to them by John Basebeach, "late of said county, deceased, ***" (Chesterfield County, Virginia Deed Book 13, Page 6). John Hiram Beach worked for Charles Postly McIninch (Anna Rosalee's father) when they lived near Lebanon, Indian Territory - now Oklahoma. This was how these two became acquainted. It is highly probable that John Hiram also helped the McIninch family move to Wanette, for it was after the move that this couple were married. The move, of course, was made by covered wagon. Wanette is in present day Pottawatomie County, located a few miles from the Canadian River, and was an isolated farming community dating from the Pottawatomie/Shawnee Indian Lands in 1891. Anna Rosalee McIninch was a young girl - not quite 18 - when she married John Hiram Beach in mid-December of 1894. He was a tall, slender-built person (5'11") with black hair, brown eyes, and a black mustache which was never shaved off during their 40 plus years of marriage. She was somewhat shy, but was a warm, loving person with a ready smile. The wedding was a simple affair, performed by J. H. Daughrety in the presence of her older sister Sonora McIninch Cochran and her husband C.C. Cochran, in Tecumseh, Oklahoma Territory. Tecumseh, named for the greatest war chief of the Shawnee Indians, began with the opening of the Pottawatomie Indian Lands in 1801. It was the original county seat but eventually lost that distinction to Shawnee in 1930 - long after the Kickapoo Lands were opened to settlement in 1895 on the north side of the Canadian River. At the time of this couple's marriage, Grover Cleveland was President and they were living in Indian Territory on land owned by the Chickasaws. 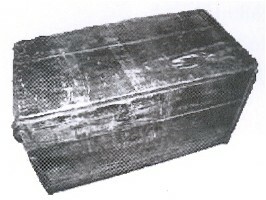 Anna Rosalee had a round-top trunk and she became owner of a pine box 3 1/2 feet long, 2 feet wide, and 2 feet deep after her mother's death. Clothes and dishes were packed in these when moves were made. This pine box has a story of its own which bears telling. About 1870, Charles Postly McIninch and family packed this pine box with clothes and dishes, put it into a covered wagon and moved to Hillsboro, Texas from St. Joseph, Missouri. The family remained in this area until the latter part of 1876 or very early in 1877, when the box was packed again and they moved to Lebanon, Oklahoma Territory, again by covered wagon. The journey would take several weeks by this mode of travel, but the family arrived at their destination in time for their last child (Anna Rosalee) to be born in Lebanon on February 18, 1877. This pine box appears throughout this story. During the time that John Hiram Beach and Anna Rosalee were at Wanette the couple's first son, named John Osa, was born. John Osa Beach was born November 9, 1895. His schooling began in King School near Wanette, and continued at Konawa, Oklahoma; Sabinal, Texas; Utopia, Texas; Deers Chapel School near Eufaula, Oklahoma, and Cathay, Oklahoma. 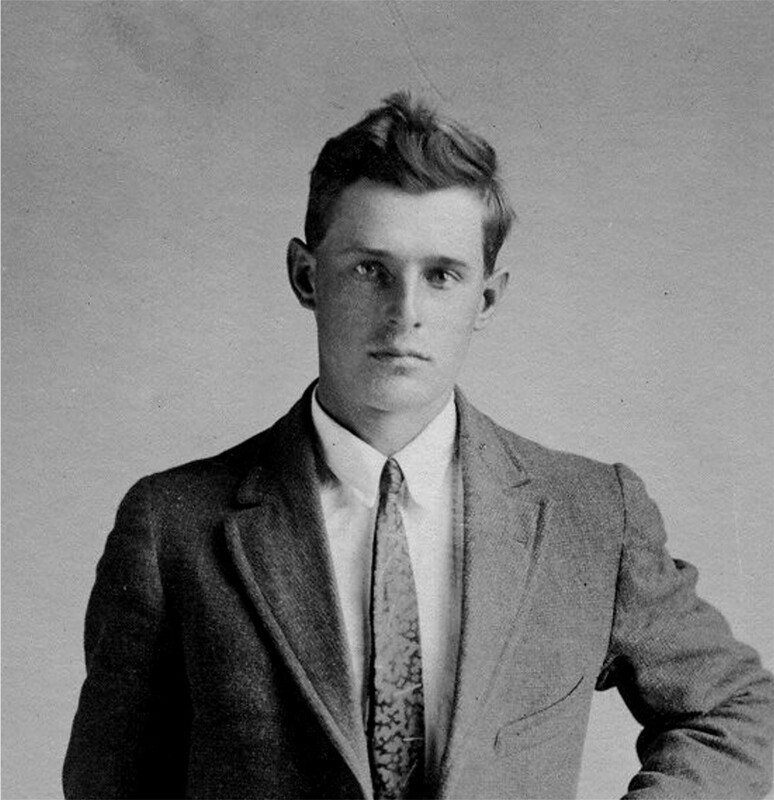 While at Cathay he was in the 4-H Club and won a scholarship to Stillwater where he went one semester, then transferred to Connors for the last semester there (1915-1916). At Stillwater he won a plowing contest for which he received an award. While the family was at Fame, Oklahoma he attended the first semester at Stillwater (as previously noted). When the family moved to Warner, Oklahoma in the fall of 1916 he attended Connors High School and graduated from there in the spring of 1920. There were four students in the graduating class of which he was Salutatorian. J. 0. (or Osa as he was also called) spent some time in the U. S. Army in the 2nd Medical Corps, Fort Des Moines, Iowa, and General Hospital No. 26, St. Louis. This occurred between 1917-1918 and he was discharged as a Sergeant. He was a Second Lieutenant in the active reserve from 1926 to 1931, and in the inactive reserve from 1931 to 1936. After completing High School he then went to the University of Oklahoma at Norman and majored in Journalism. He graduated with a B.S. in 1924, and later received his Masters Degree in 1932, both degrees in Government. While attending the University of Oklahoma he met Jessie Lavina Bullard and they were married at Norman, Oklahoma the 3rd of June 1924. 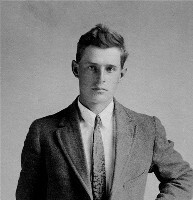 After graduating from the University of Oklahoma he was a reporter for the Ponca City News from 1923 to 1924. 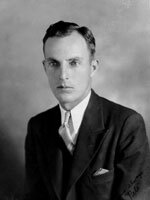 He then went to Alva, Oklahoma and was News Editor for the Alva Daily Review-Courier from 1924 to 1927. J. 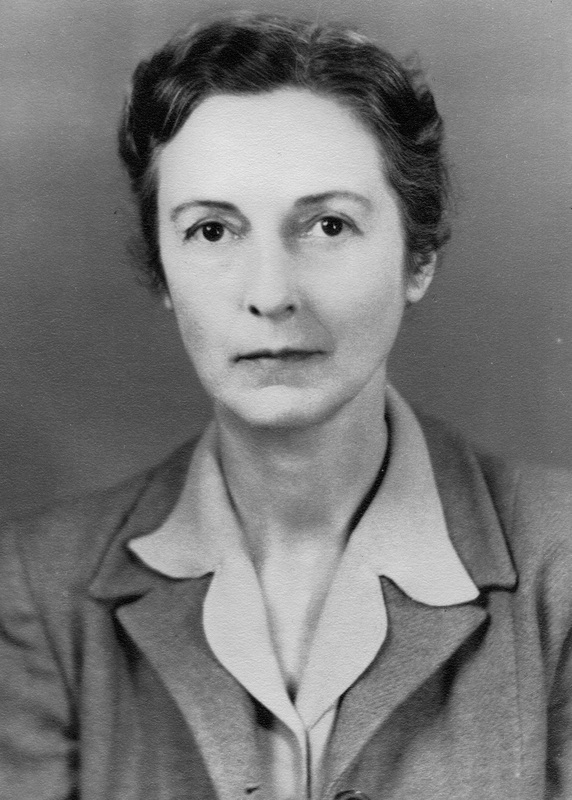 0. was with the Oklahoma Geological Survey from 1927 to 1954, beginning as Secretary, but was inactive from 1931 to 1936 when the Survey was without funds. He became active again in 1937, was made Administrative Assistant in 1947 and held this post until he resigned in 1954 for reasons of health. J. 0. published reports on volcanic ash and tripoli, on glass sands, on limestone and dolomite, and on mineral production. 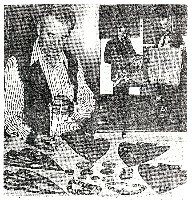 He originated, edited, and wrote for "The Hopper", a mimeographed periodical of Oklahoma mineral resources information. After J. 0. retired from the Oklahoma Geological Survey sometime in 1954, he and his second wife, May, moved to Park Hill, Oklahoma where they operated a combination grocery-filling station-bait supply type of store, called "Beach's Corner," store and cabins, on State Highway 80. They were living here when he passed away at the Veterans' Hospital at Muskogee, Oklahoma at the age of 68, of emphysema. He is buried in the National Cemetery at Fort Gibson, Oklahoma. J. 0. was a member of the American Legion, honorary member of the Mineral and Gem Society, and Tenkiller Lake Boosters Club. His first love after his family was fishing. May continued to live at Park Hill after J.O. 's death until she passed away. She is also buried in the National Cemetery at Fort Gibson, Oklahoma. Cynthia Lucy Beach was named after her grandmother, Synthia Jane McCorkle Beach. Her father, John Hiram Beach, changed the spelling of 'Synthia' from 'S' to 'C' as he felt that was the way it should be. She was also named for her paternal grandmother: Sarah Lucy McElrath Beach. Her formal education began at the King Schoolhouse near Wanette, Oklahoma. When the family moved to Konawa she had whooping cough and attended school very little. She went approximately 3 months at Utopia, Texas, followed by a 7-year gap; then started schools at Cathay and Fame, Oklahoma followed by moving to Warner, Oklahoma where she graduated from Connors High School in 1920 as Class Valedictorian. Her teaching career began after graduation from high school in 1920, teaching in rural schools in Muskogee County for three years. Braggs, Oklahoma was next where she taught primary grades for three years, and 5th and 6th grades for three more years. Teaching in the Bowlegs School District began in 1929 where she taught beginners and first grade for 34 years. Lucy spent the summer months attending school at Tahlequah, Oklahoma, then on to Ada, Oklahoma on weekends for extension work, and she received her B.S. Degree in 1932 in Elementary Education. She received her Masters Degree in 1938 from the University of Oklahoma at Norman. 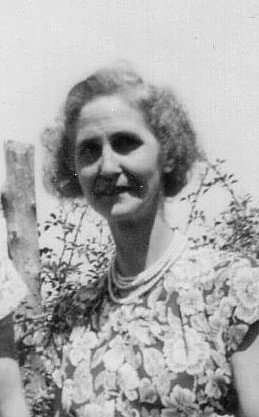 She became Principal at the Taylor School, Plant 13, near Bowlegs, Oklahoma, around 1944, and this school was eventually moved to the town of Bowlegs. Looking ahead to retirement, she attended Western State College at Gunnison, Colorado for three summers, taking courses in Art, New Math and Geology for Teachers. She retired from the Bowlegs School District in 1963, whereupon she went to the Navajo Indian Reservation, Shiprock Area, New Mexico, and began teaching the 4th grade at the Sanostee School there. Five more years followed and once again retirement came in 1968. 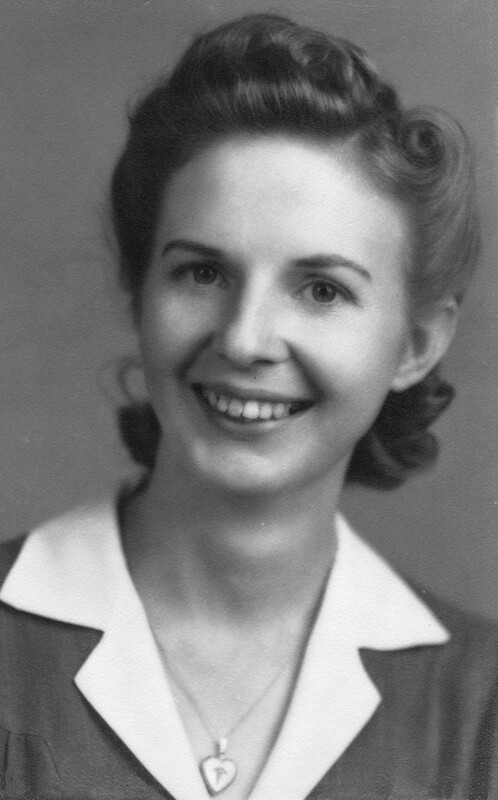 She returned to Muskogee the same year and spent her time substituting at Bacone College and doing volunteer work at the Muskogee General Hospital. Some of the honors collected along the way began when she won a Gold Medal in Spelling in McIntosh County in 1915. The following year she took second place. She was named Woman of the Year from Seminole County, Oklahoma in 1952. While attending the University of Oklahoma at Norman, she was affiliated with Kappa Delta Phi, a scholastic sorority requiring a B-plus average or above. Then she belonged to Delta Kappa Gamma, a Professional sorority, later becoming President of Sigma Chapter of Delta Kappa Gamma. Throughout her lifetime she was always called Lucy by the family. She continued living in Muskogee, at Kate Frank Manor Apartments, until such time as her health required her to go into Countryside Estates Nursing Home at Warner, Oklahoma sometime 1992. However, she maintained her apartment in Muskogee during this time, but was never able to return. Sometime in 1992, Lucy was interviewed for a newspaper article about what she remembered most about her life. It was the Roaring 20's. The Charleston was in vogue, people paid to see silent movies, Model T's and Model A's ruled the road. It was a time where America celebrated the end of World War I. America was starting to be considered a superpower on the world scene. This was the time when Lucy Beach graduated from Warner High School before the town had built its own school. Students at Warner back then attended school at Connors and stayed at boarding houses within the town. Lucy, now a spry 95 years old and living in Countryside Estates Nursing Home, graduated from high school in 1920. She remembers walking or riding on wagons to and from the boarding hosue to the sschool on dirt roads as Warner did not have any paved roads. Several boys in her class never came back to school after America entered the war. All of the girls in her school stayed at one of the three boarding houses while the boys studied at the Beanery at the school. Back then, there were no dorms for the students to stay in. She recalled several administrators and teachers who were at the school. They included Mr. Malone, who was Superintendent for one year; Mr. Coffey, who was Superintendent for a year and a half; and teachers Mr. Culwell and Miss Murdoch. She also remembered when Mr. Key had the first car in Warner and that Finklea's store (now the Warner Community Center and Warner City Hall) was two stories tall before a tornado came and took the top story off. She didn't have time during school to play any athletics but out of ten brothers and sisters, one brother played ball. Following high school, she attended what is known now as NSU in Tahlequah, receiving her bachelor's degree in education, and then attended the University of Oklahoma in Norman, receiving her master's degree. She then taught school at Bowlegs during the oil boom (where she had 70+ students in class at one time), Braggs, and at a Navaho reservation in Arizona before retiring from teaching. 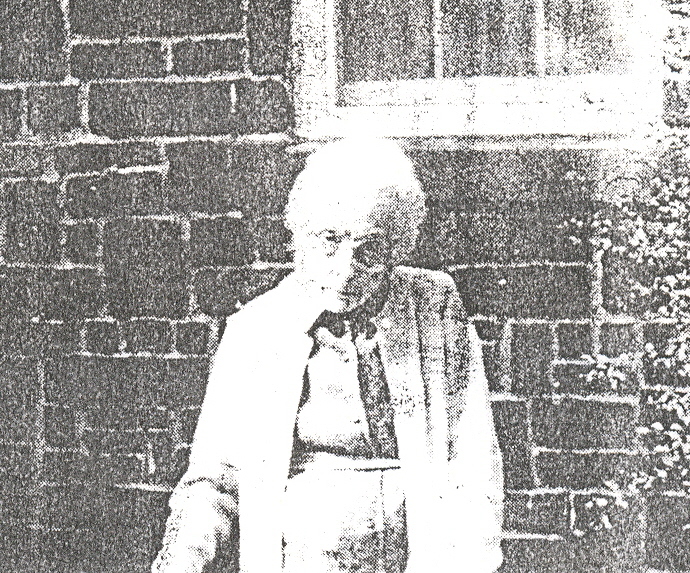 She now resides in the nursing home where a classmate of hers, Mamie Pitts, also resides. She has had a lot of her former students come by and see her and everyone is encouraged to come out and visit with her. When the above picture was taken at Connors State College last week at the Administration Building, she commended about all the new buildings and how many students there were attending college. She also mentioned that it seemed that everyone in school had a car there. Thanks to Susan Calvert for helping with this article. Vera Ruth Beach was born November 24, 1899. Around age 5, the family moved to Konawa, Oklahoma; from here to Sabinal, Texas, and then to Utopia, Texas. It was at Utopia, Texas that she went to school for part of a term and learned to read and write. Her schooling was interrupted while the family moved to Goliad, Texas; to Hot Springs, Arkansas, and then back to Oklahoma, settling at Cathay in the fall of 1911 to pick cotton. The family made a sharecrop the next year, after which they moved to Deers Chapel near Eufaula, Oklahoma. Another move was made back to Cathay, Oklahoma where the family remained for two years (living in the same house for a change during this period), then to Fame, Oklahoma in the fall of 1916. Vera received some schooling, then once more the family moved to Warner, Oklahoma in the fall of 1916 where she started the 7th grade at Connors School and completed her education in 1921. Following graduation from High School, Vera taught beginner class through 8th grades at the Markham School, northeast of Warner, for seven months, with a salary of $75.00 per month. She paid $15.00 a month for her board. Since she didn't particularly like teaching, she worked at the Post Office and various other jobs as they came along. It was at a friend's house in 1925 that she met Sam Dunn. After several months' courtship they were married in October 1925 and lived at Muskogee, Oklahoma. The following October Ruth Charlene Dunn was born. This union was dissolved in 1928. Taking a position as housekeeper to care for his two daughters by a previous marriage, Vera met Fred Franklin Pierce. 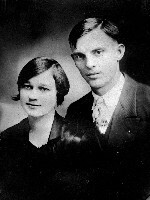 They were married March 1929 and lived at Wagoner, Oklahoma. It was here that four daughters were born: Rebecca, Jonnie, Hazel and Thalia Pierce. 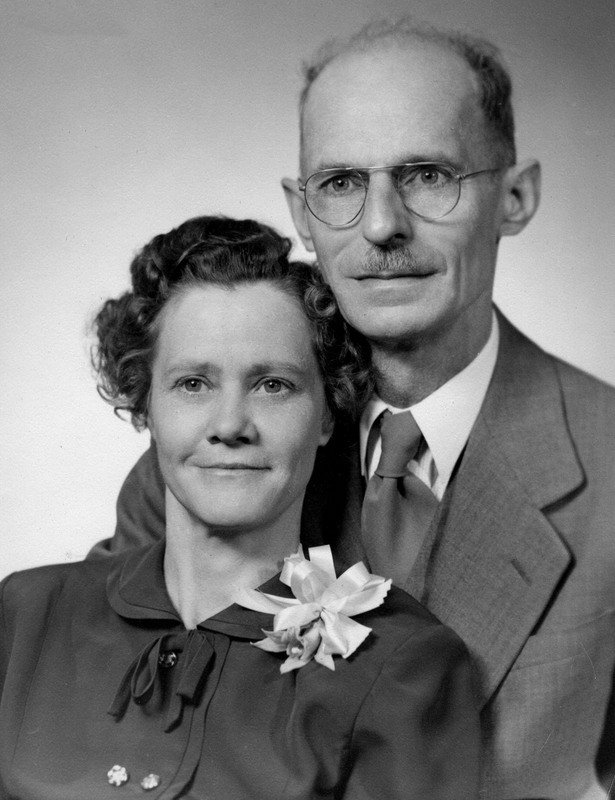 Following the death of Fred Pierce in 1943, Vera returned to Muskogee, Oklahoma and purchased a home at 203 Jefferson. 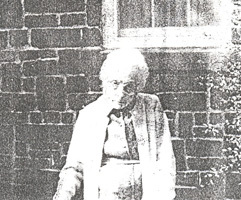 Several years passed and Vera began correspondence with Howard Harvey Williams. She had met him previously while living at Deers Chapel near Eufaula, Oklahoma in 1912-1913. They were married in August 1951. 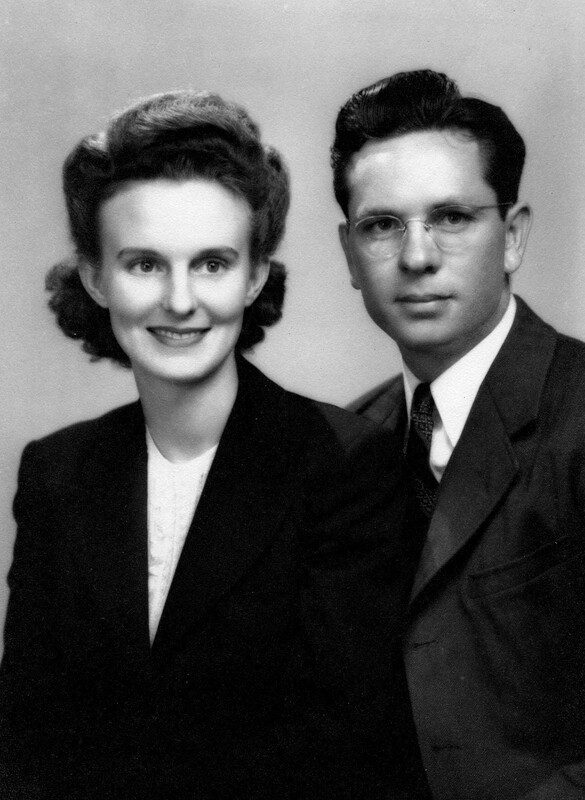 In November 1952, Vera, Howard and Hazel moved to Oklahoma City, Oklahoma and lived there a little over a year; then returned to Muskogee in 1954 and remained at 203 Jefferson, Muskogee, Oklahoma for quite some time. After 38 years of living in Muskogee, Vera and Hazel moved to Claremore, Oklahoma. Howard Williams had died in February 1973, and Vera and Hazel continued to live at 203 Jefferson, but wanting to be closer to some of her children prompted the move. William Clay Beach was born September 28, 1901. At the age of 11 he began his schooling at Deers Chapel near Eufaula, Oklahoma - the year was 1912, and graduation from high school came in 1924 from Connors at Warner, Oklahoma. That fall he enrolled at Northeastern State College, Tahlequah, Oklahoma. During his high school and college years, he was an outstanding basketball and football player. Clay's teaching career began in July 1928 at Tucker School, about 10 miles from Spiro, Oklahoma. Prior to this time he had met and married Thalia Wade at Bentonville, Arkansas. World War II came along about this time and he finished the year at Bokoshe, Oklahoma teaching, as well as coaching girls basketball there. In August 1944, Clay accepted a teaching post with the Bureau of Indian Affairs at Fort Yukon, deep in the Alaskan interior, and remained there for three years until the Alaska Public School System took over the school. It was at Fort Yukon that he helped organize the first Boy Scout Troop north of the Arctic Circle on American soil. His next assignment was at Belkofski, Alaska for a 2-year period. Clay's wife, Thalia Wade, disappeared in Yukon, Alaska on 11 Aug 1946. He transfered to Crownpoint, New Mexico in 1949 where he taught 6th grade, coached girls basketball and helped during the summer at the school farm. Each spring he would take his 6th grade class to the farm to set out tomatoes, cabbage and other vegetables. The Kimbeto, New Mexico trailer school was opened in 1952 and Clay was assigned there as the first Principal-Teacher. 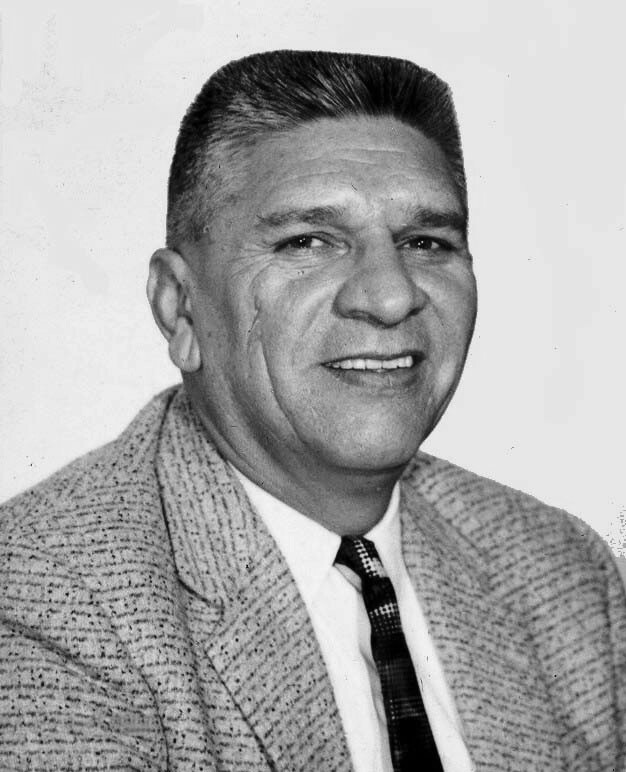 In October 1960 he became Principal at Huerfano Dormitory, 20 miles south of Bloomfield, New Mexico, a position he held until retirement in 1971. 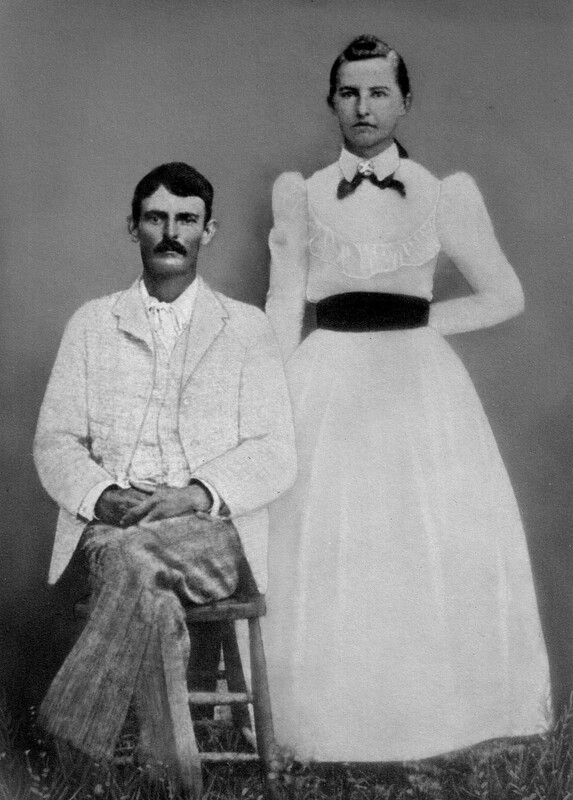 Two children were born from Clay's marriage to Thalia Wade: W. C. Beach, Jr., and T. W. Beach. While the family was in Alaska Thalia disappeared when berry hunting and was never found. He subsequently married Maggie Cadzo, a fullblood Athabasca Indian, and from this union three more children were born: Rex Paul, R. C., and Lucy Mae Beach. This marriage dissolved in 1964 and Maggie returned to Alaska. After his retirement Clay returned to Oklahoma, living at Cowlington. He continued his interest in gardening and was noted for growing vegetables. From the LeFlore County newspaper, Poteau, Oklahoma, January 26, 1975. Jim Gaylor, Kerr Museum director, looks over just part of a large collection of Spiro Indian Mound artifacts which was donated to the museum by William Clay Beach, Cowlington. Beach, pictured on the right in the inset, began accumulating his collection during the 1930's when the site was first being excavated by free-lance diggers, who sold off many of the larger, most treasured items. One of the largest and most comprehensive private collections of Spiro Indian Mound artifacts has been donated by a retired school teacher to the Eastern Oklahoma Historical Society for the Kerr Museum. The collection, belonging to William Clay Beach, who now lives in the Cowlington area, contains over 3,000 beads of 35 different styles, 300 arrow points, spear points and scrapers, rock ear spools, shell face effigies, bone awls and pieces of material, museum director James Gaylor said. "This collection is the largest and most comprehensive collection of Spiro material that I've seen," Gaylor noted. Beach presented the collection to the Society at its annual meeting Tuesday night and was made an honorary lifetime member. The Beach collection will go on display along with other Spiro Mound material donated to the museum by Guinn Cooper earlier. Cooper was a private digger at the Mounds site before the state took over the excavation. Beach, a 73-year old retired teacher for the Bureau of Indian Affairs, collected the Spiro material during the 1930's when the Mound project was being excavated. "He first became interested in the Indian artifacts when he was teaching at Tucker," Dr. Roy Chessmore, director of the Agriculture Research Division, Kerr foundation, commented. "One of his students brought in a conch shell with Indian engraving on it which he had broken in half in order to make it fit in his pocket. He showed it to Mr. Beach and told him where he had found it. Beach became very interested in the artifacts and would spend much of his free time at the mounds picking up artifacts, some of which the diggers had thrown aside because they were chipped or partially broken," Chessmore said. "This was during the time when the state had no control over the commercial artifact hunters who would go through an excavation such as the mounds and carry out loads of arrowheads, vases, ear plugs and such to be sold for unbelieveably low prices." Beach also gave the museum an old 'artifact-hunter's bargain catalog' offering such buys as "100 authentic Spiro Indian Mound arrowheads, regularly 84 cents, for 64 cents." Much of the original contents in the Spiro Mounds was looted before the State of Oklahoma gained control and passed legislation prohibiting private or commercial dragging of such archeological sites. After leaving Tucker, where he taught for 16 years and Bokoshe where he taught for two years, he began work with the Bureau, teaching in Alaska for eight years and in New Mexico for 10 years. Beach also has a fine collection of native Indian artifacts which he collected while in New Mexico. Using the collection during his 36-year teaching career, Beach talked and gave lectures on the Spiro Mounds. "The entire collection is in excellent condition," Gaylor noted. 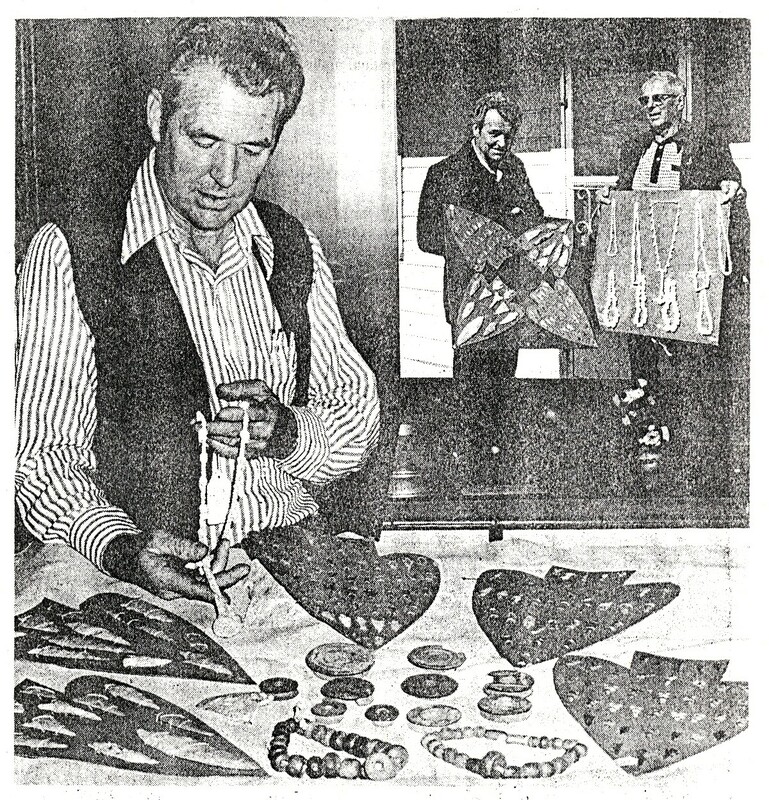 "It is a very unique collection in that it contains some very different styles of arrowheads, some of which we have never seen before, andone small effigy which, unlike the others in the collection, is made outof cedar instead of shell." "This collection has considerable value and we will try to have it up on display as soon as possible for everyone to see," Gaylor said. Pasme Ellen Beach was born November 22, 1903. Her schooling began at Deers Chapel near Eufaula, Oklahoma, with graduation coming in 1922 from Connors High School, Warner, Oklahoma. She taught her first school term, 1922-1923, in a country school near Porum, Oklahoma, and also taught at the grade school level at Braggs, Oklahoma (at the age of 19 years), continuing here until May 1925, with a salary of approximately $100.00 per month. Her marriage to George Weegand Meeker, born 1 March 1877, was terminated by his death at Braggs, Oklahoma in 1927. No mention of this marriage has been made heretofore. There were no children from this marriage, although Mr. Meeker had two sons by a previous marriage. She then married Dr. Thomas Asbury Scott at Wewoka, Oklahoma in June 1927, and from this union four children were born at Bowlegs, Oklahoma: Mary Ann, Sue Ellen, Patty Jane and Thomas Beach Scott. Dr. Scott passed away August 1936 and is interred at Elm Grove Cemetery, McLain, Oklahoma. Charles William Scott, nee Cromlie, was born from her union with Oliver Marion Cromlie. This marriage was dissolved and Mr. Cromlie has since passed away. He was an oil-field worker and died from a disastrous fire which occurred where he was working. 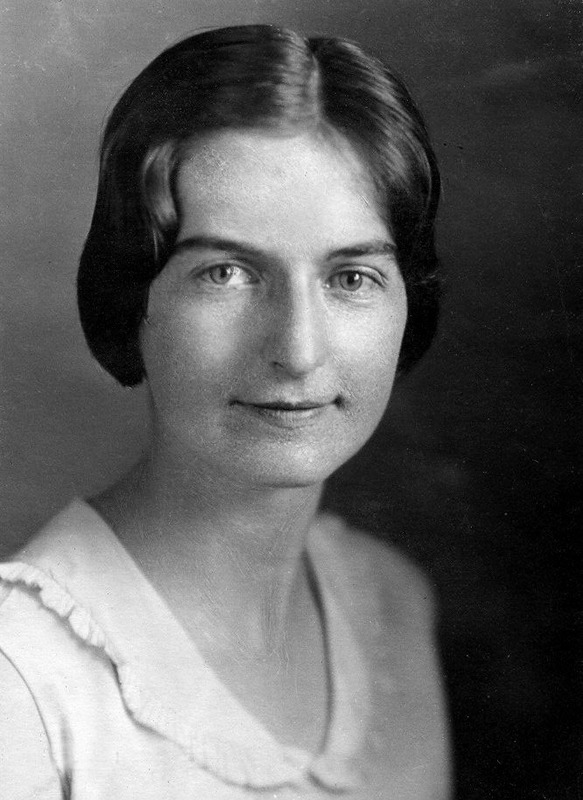 Prior to her marriage to Dr. Scott, Pasme was recuperating in Talihina, Oklahoma from tuberculosis. No children were born from her union in 1944 with Robert Hertsel Harmon. This marriage was dissolved by her death in 1956. Mr. Harmon's demise occurred in the spring of 1959. Following the death of Dr. Scott, Pasme held a variety of jobs until obtaining the Civil Service position at Tinker Air Force Base, Oklahoma City, Oklahoma. The family moved from Bowlegs, Oklahoma and finally located, in 1948, at 115 West Lilac Lane, Midwest City, Oklahoma. It was here that Pasme passed away the 18th of June 1956, at the age of 52, from cancer of the stomach. She is buried at Rose Hill Cemetery in Oklahoma City, Oklahoma. Pasme was named by using the first initial from the names used by each of her Father's sisters: Prudence, Anna, Sarah, Maude and Ella. She was called "Pabby", as well as "Pansy", by those who knew her. She enjoyed playing cards, sewing, gardening, working crossword puzzles, sporting events, and also liked to travel. Elbert Lewis Beach was born February 17, 1906. Deers Chapel, west of Eufaula, Oklahoma, was the beginning of his school days, going a month or so in 1913. During 1914-1915, at Cathay, Oklahoma, he went partially for a couple of terms; an additional part term at Fame, Oklahoma, then a move to Warner, Oklahoma where he completed grade school and finished high school in 1925 from Connors. His first year of college was begun at Northwestern State College at Alva, Oklahoma, followed by one semester at the University of Oklahoma at Norman, Oklahoma in 1927-1928. Then a transfer to Connors at Warner for the second semester in 1928-1929, and from 1930 to 1937 summer terms were spent at Northeastern State College at Tahlequah, Oklahoma. His teaching career has always been at the high school level. From 1929 until 1943 he taught at Muldrow, Gans and Vian, Oklahoma where he was also Principal at the latter school. From Vian he went to Gore, Oklahoma where he also had the position of Superintendent. While boarding at her Mother's in Muldrow, Oklahoma, he met Edna Mae Shepherd and they were married in June 1932. Mae taught 6th Grade and had a BS Degree with an English major, and a Masters Degree in Elementary Education. World War II came along and he entered the Navy in 1943, serving until discharged in November 1945. While in the Navy he attended Texas A & M and Lowell Textile Institute at Lowell, Massachussetts. After being discharged from the Navy, he attended Tulsa University, followed by additional work at the University of Oklahoma at Norman from 1946 until 1954. One summer term came in 1950 at Oklahoma State university at Stillwater, Oklahoma. Kansas State University at Pittsburg, Kansas was attended during 1959. During the above schooling, and after discharge from the Navy, he taught at Barnsdall, Oklahoma until 1957 (where he was also Principal); then a move to Commerce, Oklahoma where he held a teaching position for one year. He returned to Barnsdall for a brief time, after which he accepted a position at Bartlesville, Oklahoma and remained at this school until retirement. "Pete" (as he was called), or Elbert, achieved his BS and Master degrees, and was admitted to the University of Oklahoma at Norman for work on a Doctorate and completed 33 hours of work in this direction. Major fields in undergraduate study were Mathematics and Biology. His hobbies are gardening and fishing and he also liked to read, watch television and attend sporting events, especially football games. Pete and Mae were both retired from teaching. While on a trip to pick berries, Pete and Mae were involved in an unfortunate automobile accident and both were killed on 14 May 1980, near Bartlesville. Pete was 74 years of age and Mae was 72. She would have been 73 in August. 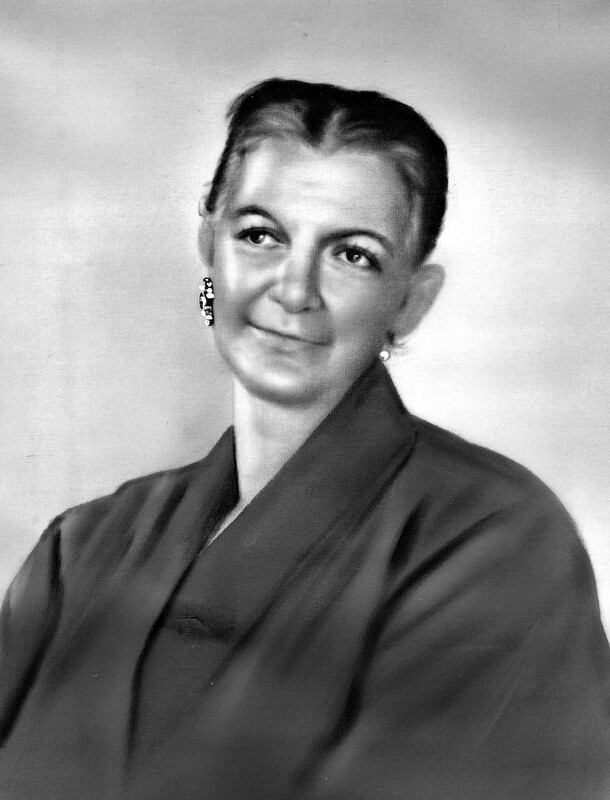 Mary Sonora Beach was born November 2, 1911. She completed grade school and high school at Warner, Oklahoma, followed by two years of junior college at Connors. She then entered the University of Oklahoma at Norman, and after graduation also attended the University of Maryland at Baltimore. School at Ada, Oklahoma was also attended. She received special certifications in Remedial Therapy and Slow Learners while at the University of Maryland. She met Goodwin Keener Cobb, Sr., a fullblood Choctaw Indian (and a minister), at the University of Oklahoma and they were married 1 November 1940. From this union one son was born: Goodwin Keener Cobb, II. There was also a step-son: Charles Cobb. Mary taught at Lone Star School in Leflore County, Oklahoma; Red Hill, Cleveland County, Oklahoma; Edgewood, Maryland, and at Checotah, Oklahoma. Mary lived in Oklahoma, Maryland, Germany (from 1950 to 1956), again in Maryland, back to Oklahoma, and to Chilicothe, Kansas where she and her husband worked at the Indian School. The family moved to Newark, Delaware and after G.K.'s death in 1982 from a heart attack at the age of 72, she lived with her son, Keener, daughter-in-law Paula, and three grandchildren. While at Newark, Mary worked at the Caravel Academy as librarian. She belonged to several sororities or organizations, some of which are the American Association of University Wives and Order of the Eastern Star, among others. Jessie Rex Beach was born January 9, 1916 and died April 10, 1916. Eldora Beach was born March 11, 1917. She completed grade school and high school at Warner, Oklahoma, and completed junior college at Connors, also at Warner. She attended Northeastern State College at Tahlequah, Oklahoma, as well as school at Ada, Oklahoma. She held teaching positions in the Braggs, Oklahoma area and at Lone Star, near Short Mountain, in Leflore County, Oklahoma. Eldora married Clifford C. Craig in September 1937 and they had two sons: Rex Edward Craig and Carl Clifford Craig. She began a career with the Civil Service Commission in May 1951 at Tinker Air Force Base, at Oklahoma City, Oklahoma, and continued in this capacity until retirement. Several years later, after her divorce from Clifford Craig, she met Roy Oliver Morgan at a singles dance and they were married the 14th of June 1974. He passed away 25 June 1980 and is buried at Tribbey, Oklahoma. Her hobbies and interests included fishing, collecting picture postcards, playing bridge, and watching football games on television, among others. She also liked to travel. She was called "Tootsie" or "Toots" by those in the family. Winnie Lee Beach was born November 12, 1919. By this time the family had moved to Warner, Oklahoma and it was here that she began her schooling at the tender age of 4 years. She completed grade school and went on to graduate from Connors High School in 1935. Graduation from junior college came in 1937 (the family moving to Seminole County, Oklahoma during this year), and then on to the University of Oklahoma at Norman, Oklahoma, graduating in 1940, having majored in Vocational Home Economics. While in college, Winnie belonged to Hestia, a Home Economic Sorority, and to Omicron Nu, an honorary Home Economics Sorority. Her first teaching assignment was at Butner High School, Wewoka, Oklahoma, and it was here she met David Roy Jackson who was also teaching Manual Arts and Biological Science. A brief semester at McComb, Oklahoma was next and then she resigned to get married, traveling to Yuma, Arizona for this event, and then on to Long Beach, California where she and her husband worked in the shipyards during World War II. They returned to Seminole, Oklahoma in March 1944 and it was here their first son was born on May 13, 1944, David Roy Jackson, Jr. Roy (as Winnie's husband is called) went to work for Lane Wells Company this same month. During the ensuing years two more children were born: Richard and Dennis, so Winnie devoted her energies to being a housewife and moving around wherever her husband's work took him. This included a transfer from Seminole to Oklahoma City; from there to Healdton, Oklahoma; back to Oklahoma City and then to Guymon, Oklahoma. It was from Guymon the family moved to Wyoming with a change of companies from Lane Wells to Wireline, Inc. Daughter Ellen was born in 1958 before the family moved to Wyoming. For more than 12 years Winnie and her family lived at Casper, Wyoming. Sometime around 1980 they moved to Wichita Falls, Texas, and after retirement moved to Sallisaw, Oklahoma in 1983. It was here that Winnie passed away, at the age of 74, on 19 December 1993. She was cremated and her ashes scattered at Lake Tenkiller, a favorite fishing place. Winnie's hobbies included reading, bowling, playing bridge, fishing and watching football games. She also worked part-time for a newspaper company, as well as in the drafting department for Wireline, Inc.
Opal Beach was born November 6, 1923. Formal schooling began at Warner, Oklahoma and continued here until the family moved to Seminole County, Oklahoma in 1937. Graduation came from the Bowlegs School District in 1940. Two years of junior college at Warner, oklahoma came next and following graduation here she then went to East Central State College at Ada, Oklahoma about one and a half years, majoring in Home Economics. 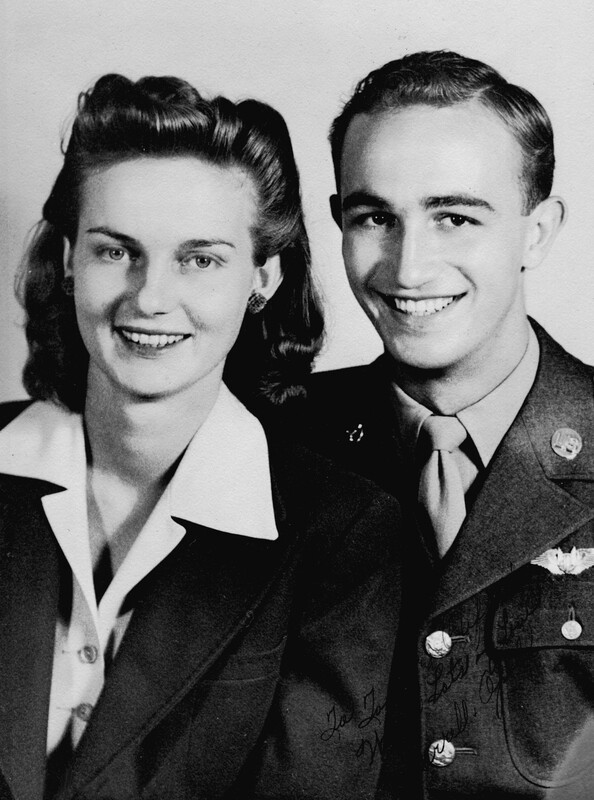 It was at Ada, Oklahoma that she met Darrell Lain (he was in the Army Air Corps (as it was known then) and they were married in 1943. From this union two daughters were born: Nancy Lain and Deborah Lain. Subsequently, many moves were made to such places as Colorado, Florida, Kansas, and finally locating in Shawnee, Oklahoma. Her marriage was dissolved in 1963 and she never re-married. She held various positions such as working for Montgomery Ward, in a Civil Service position during the war, and as Assistant Business Manager at Mission Hill Hospital, Shawnee, Oklahoma. She belonged to a dramatic sorority while in school, and this interest was continued in Shawnee's Little Theater Group. She was also a member of the American Business Women's Association. Some of her hobbies and interests included bowling and playing cards. Opal passed away at the age of 66, after having several heart attacks, at Shawnee on 2 June 1990. She is buried in Resthaven Memorial Park Cemetery at Shawnee. If you have questions about any of the information here, please contact me.